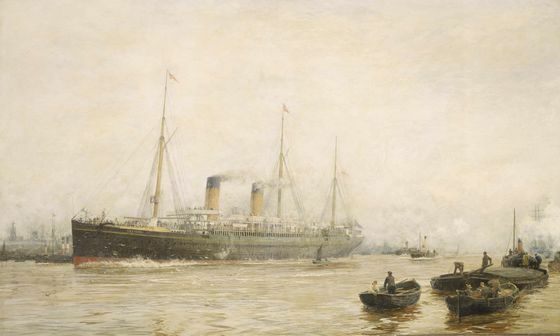 "Leaving of Liverpool", (Roud 9435), also known as "Fare Thee Well, My Own True Love", is a folk ballad, a popular and wistful song. The song's narrator laments his long sailing trip to America and the thought of leaving his birthplace and loved ones (especially his "own true love"). Liverpool was the natural point of embarkation because it had the necessary shipping lines and a choice of destinations and infrastructure, including special emigration trains directly to The Prince's Landing Stage (which is mentioned in the song's first line). It was collected as a sailor's song, but noted only twice: from the Americans Richard Maitland and Captain Patrick Tayluer. Maitland learned it from a Liverpool man on board the General Knox around 1885. It was collected from him by Bill Doerflinger, an American folk-song collector particularly associated with sea-songs, in New York. 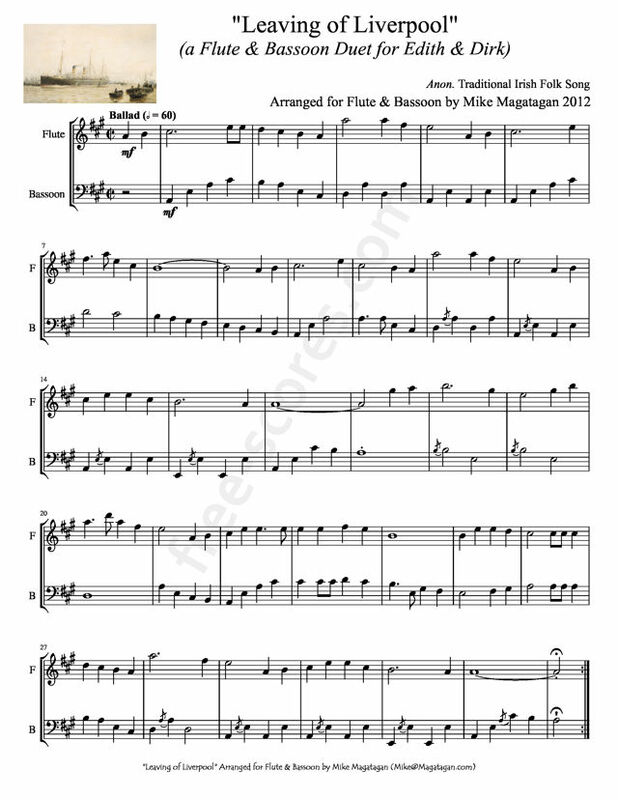 Although originally written for folk Instruments, I arranged this piece for Edith and Dirk from the Antwerpen Harmonie using Flute & Bassoon.